L.E.V. Festival completes its line up: latest additions. L.E.V. Festival completes its lineup: latest additions. After announcing a lineup full of activities, L.E.V. completes its lineup with the additions of Yamila and Oliver Coates at the Atlántico Botanical Garden, a workshop for young people with Skygaze and a Jägermusic Showcase about supporting Spanish new musical creations, with AWWZ and Jay Ferrara. One of the most charming locations at L.E.V. Festival is the Botanical Garden. It is clearly the ideal space to enjoy the sonic and conceptual chasms of Spanish sound artist, cellist and singer Yamila, and the truly personal creations of Oliver Coates, at the crossroads of IDM, neoclassical and experimental electro-acoustic music. *Activity for which a specific ticket is needed. Yamila has just released her debut album Iras Fajro (Forbidden Colours), where she conjures powerful electronic sounds opposed to her fragile vocals, which sometimes adopt the form of small choral clusters. Brilliant electronic arpeggios and rhythms dissolve in silky cello sounds, intertwining with the creativity of two such famous collaborators as Clark and Niño de Elche. Oliver Coates, a renowned chamber musician and a frequent collaborator of Steve Reich and Radiohead, released Shelley´s on Zenn-La in 2018 on RVNG Intl label. 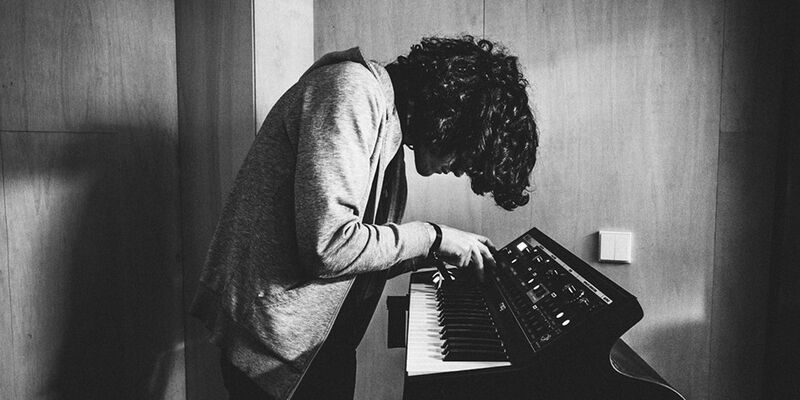 It was one of the most sublime music from the past year, and from his whole career. A somehow experimental work, closer to electronica, reminiscent of the best moments of the very multifaceted Aphex Twin. A complex, beautiful record, full of precious moments, which will be showcased at L.E.V. in a very evocative environment: the Botanical Garden. Forthe 4 year around, this collaboration between Jägermeister and L.E.V. Festival brings us a Jägermusic showcase dedicated to support new Spanish musical talents. This year’s line up is formed by AWWZ, representing Jägermeister’s musical programme, and Jay Ferrara, chosen by the Festival. At the showcase that will take place on Saturday, May 4, AWWZ will introduce us to her very personal musical universe, influenced by Future Beats, Pop and contemporary R&B. Meandering rhythms, silky vocals and ethereal textures. Jay Ferrara, the moniker chosen by Javier Otero, an Asturian musician and producer based in London, plays solo for the first time after a long career that started in the late 90’s-early 00’s in indie, post-rock and post-punk bands, and took him to Futuregold’s gloomy RnB and Black Volume’s funk-infused abstract sounds, being these two his most recent collaborative efforts. Jay dropped his first eponymous EP in December 2018 through Mirror Maze Music. Gijón’s Town Council Youth Desk and L.E.V. Festival have organized a workshop directed by Asturian musician Skygaze about the different methodologies in musical production, and the relationships between music and architecture. The workshop, aimed at young people, will take place at the La Laboral Old Kitchen on Saturday May 4 at 6 PM. The workshop will be divided in two parts. In the first one, Jaime Tellado will talk about the links he has discovered through his career which connect his two professional disciplines: music and architecture. The second part, more didactic, will be focused on the different methodologies used to produce a song, stressing the “sampling” technique as a key element of the whole process. He will also share with the audience his personal experiences about make a living out of music through online platforms. It is not necessary to buy a Festival ticket to access the workshop. 2 Daystickets and Daytime tickets for Friday and Saturday activities are available, as well as “Night only” tickets. 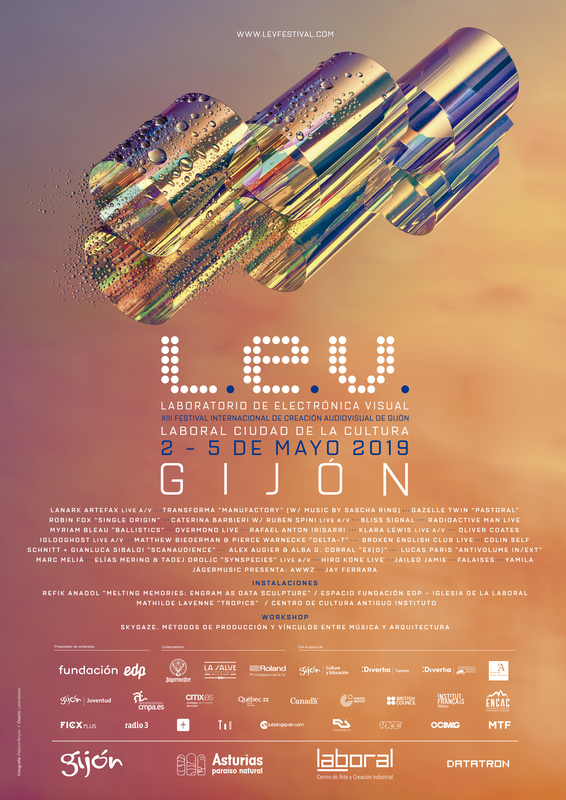 L.E.V., a project co-produced by the Government of thePrincipality of Asturias, Gijón’s Town Council, LABoral Centro de Arte and Datatron Collective, keeps on searching the evolution of new audiovisual languages. FromMay 2 to 5, the Festival will feature a lineup full of daring and innovative international acts that aim to go beyond classic formats within the fields of sound and vision creations.